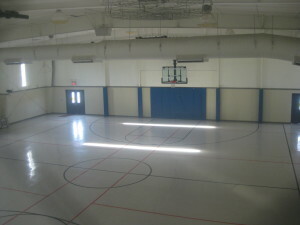 The largest room in the facility can be used as an auditorium, ballroom, or gym. It is located in the front of the building. 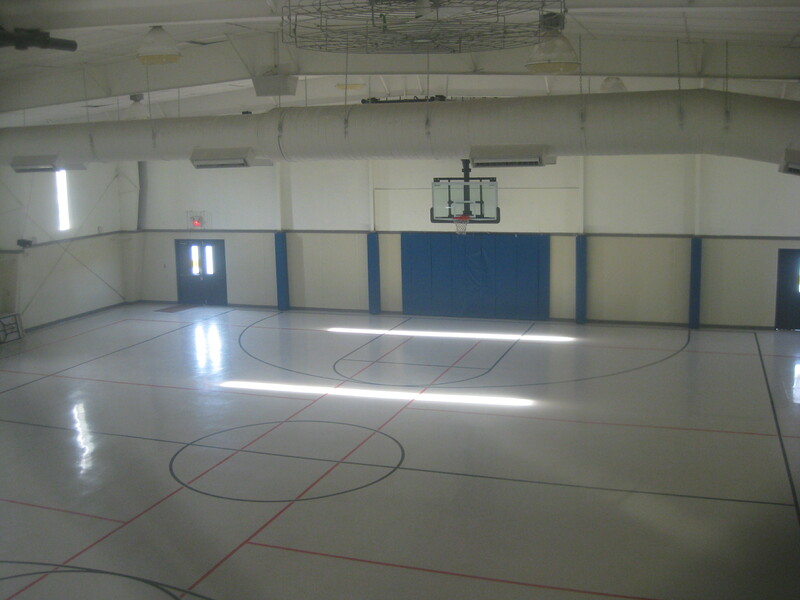 It has 20′ high ceilings, retractable basketball goals, plenty of chairs and 120 tables to seat up 400 guests, is air conditioned, and has large, multi-stall bathrooms available. A stage is available. 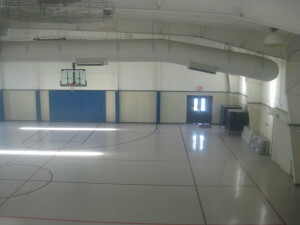 The room is used for wedding receptions. business meetings, birthday parties, yard sales, community basketball, bingo games, showers, conferences, retirement parties, auctions, concerts, and funerals. 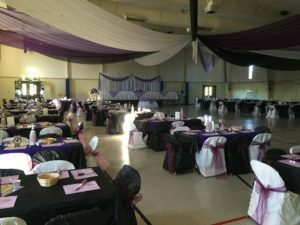 The large venue with plenty of tables is great for all your needs! The rent is $250 for the first day, and $100 for each additional day in a row. 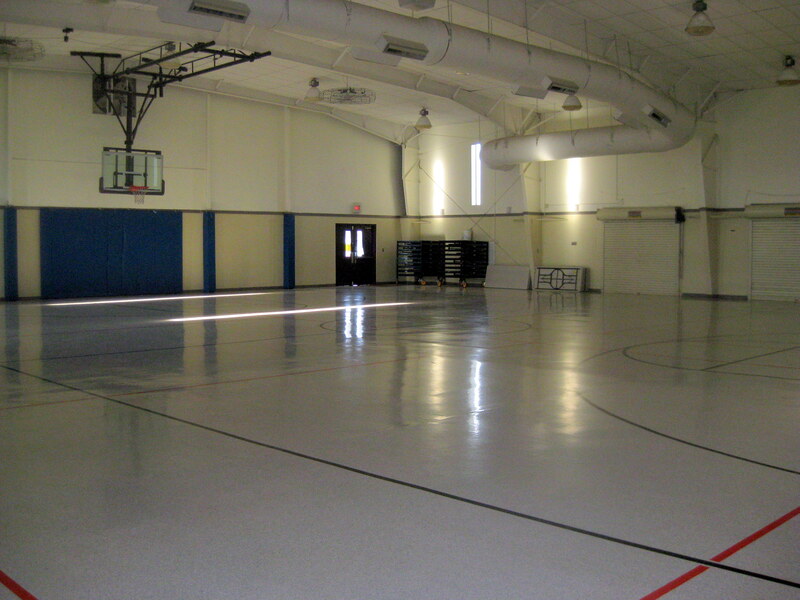 Ball Room is a triple pun. 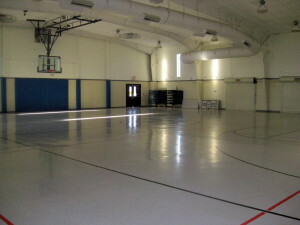 You can have a dance (a ball), or play basketball, or do something else for fun and just have a ball! 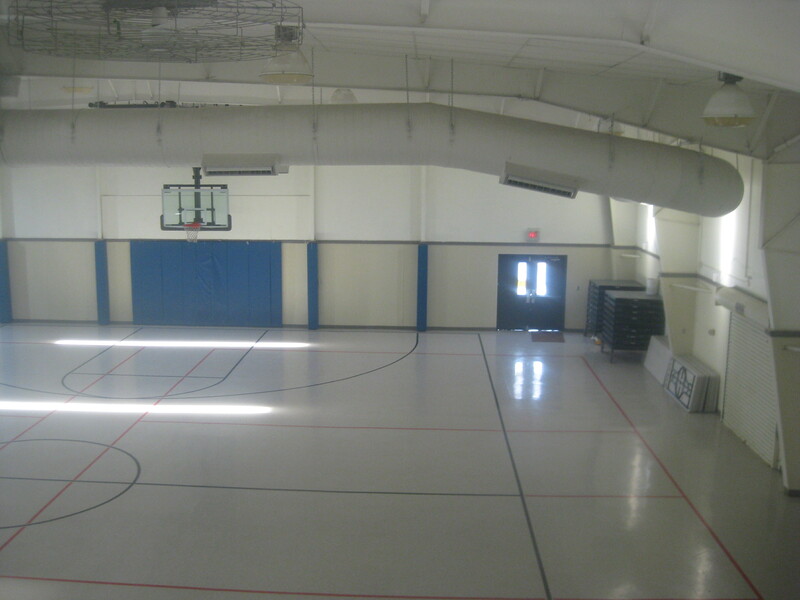 Retractable basketball goals make this room versatile! Ballroom — there is an upstairs room with a window overlooking this lovely view of the ballroom! What a lovely Wedding setup!